IIDA NE Providence City Center, AIAri, and RIASLA will once again join together to host the 2019 Green RI Sustainable Product Showcase on May 14, 2019. This year we are excited to announce a wonderful new venue; The WaterFire Arts Center. This space mixes industrial rawness with modern elements and features an open floor plan allowing all vendors to be together in one space. Companies producing earth-friendly building materials set up shop to display their latest and greatest products for industry members to view. In addition to exploring the tradeshow floor, attendees have the opportunity to attend CEU presentations, network with peers, and learn about the latest innovations regarding sustainable products from various vendors. The event also includes an Earth Day sample collection so attendees have an opportunity to fill up a box (or three!) as they conquer their spring cleaning of their material library and donate unused/unwanted sample materials at the event! Companies producing earth-friendly building materials will be setting up shop to display their latest and greatest products for industry members to view. CEU Programs are being finalized, please check back for more details on these programs. We are excited to announce a new event space this year – The WATERFIRE ARTS CENTER in Providence. This space mixes industrial rawness with modern elements and features an open floor plan allowing all vendors to be together in one space. Click the link below to request and pay for your space. The event committee will review applications to ensure sustainable product compliance and follow up with any additional questions as needed. Additional table requests will be reviewed and granted in the order in which they are received at the end of the vendor enrollment period. Vendor registration will close April 23, 2019. This entry was posted in News on April 17, 2019 by akpichette. Please join us for a fun night of duck pin bowling! Bowling is not required to come and have fun, you may wear any shoes while bowling. Teams of four will be selected at random… and bragging rights will be bestowed upon the highest and lowest scores. Cash bar—guests pay for own drinks as ordered. We ask that you please RSVP individuals and groups to rhodeislandasla@gmail.com. This entry was posted in News on March 22, 2019 by akpichette. This entry was posted in News on March 19, 2019 by akpichette. Join us this Tuesday, 2/26/2019 for our first networking event of 2019 at The Guild in Pawtucket, Rhode Island. This entry was posted in News on February 24, 2019 by akpichette. CityWorks is a participatory design studio that brings community members together to shape public space. Through this Request for Proposals (RFP), we invite community members to submit a proposal for the design and fabrication of a new public design project along the downtown Providence Riverwalk. 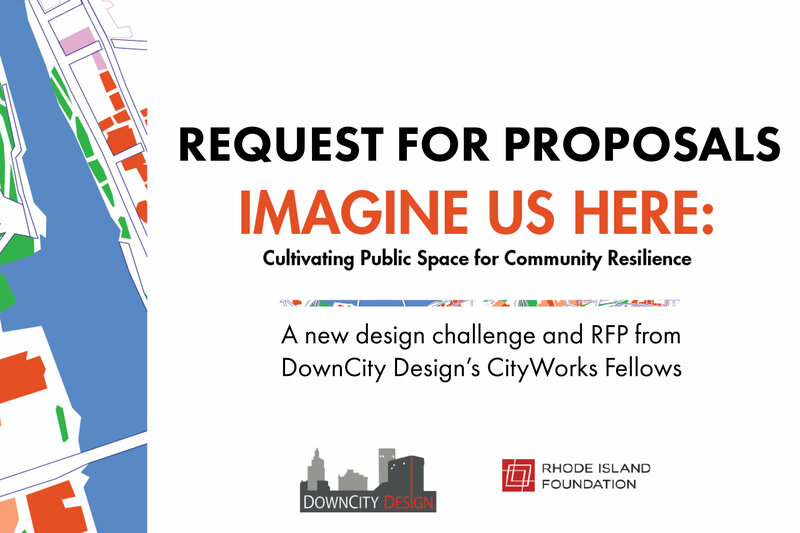 Our 2019 CityWorks Fellows are seeking project proposals for Imagine Us Here: Cultivating Public Space for Community Resilience. We welcome proposals for projects that explore community resilience in the face of climate change, with the goal of creating an enriched place near the edge of the Providence River that brings people together in the face of climate change. Please read the full Request for Proposals for more information, site constraints and proposal requirements. There will be a Site Visit and Q & A Session in mid-February, date TBA. Submit proposals to the CityWorks Fellows via email to cityworks@downcitydesign.org by 5:00 pm on March 8, 2019. This entry was posted in News on February 11, 2019 by akpichette. Head over to our Jobs tab to see two very exciting jobs through the City of Providence– Planner at Department of Planning and Development and grant-funded Landscape Architect position. Looking to get involved with RIASLA? Get in touch with us at rhodeislandasla@gmail.com or message us on Facebook! This entry was posted in News on January 18, 2019 by akpichette. Please join us on Wednesday, December 5th for the annual Rhode Island ASLA Holiday Party, generously sponsored by Landscape Forms. The party will be at Red Stripe in East Greenwich at 455 Main Street. We ask that you please RSVP and purchase tickets using the link below. Thank you and hope to see you there! This entry was posted in News on November 23, 2018 by akpichette.